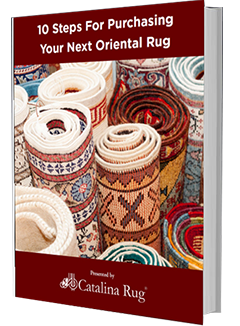 If you are looking for a rug to add drama to an otherwise subdued décor, this is it! With its bright colors and overly busy design this Bakhtyari is eye catching. Measuring 15’9″ x 20’, this particular piece boasts bold design elements in a combination of rich colors. 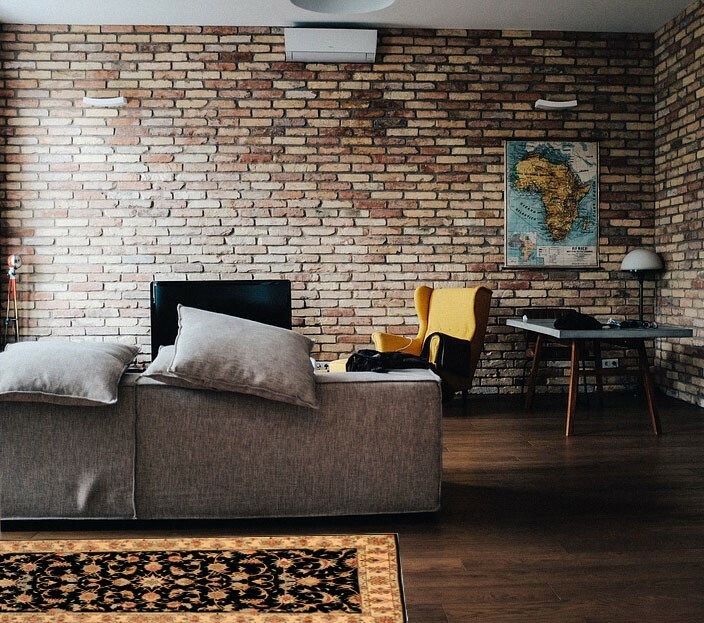 The colors and design elements have been cleverly used to create a lot of contrasts and highlights that add to the beauty of the rug. 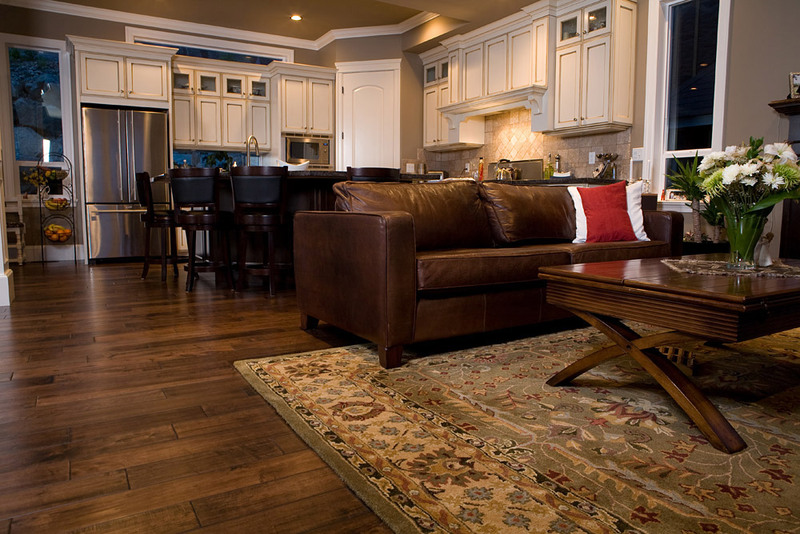 The rug features a central medallion surrounded by progressive outline fields in a variety of dimensions. The result is simply electrifying! 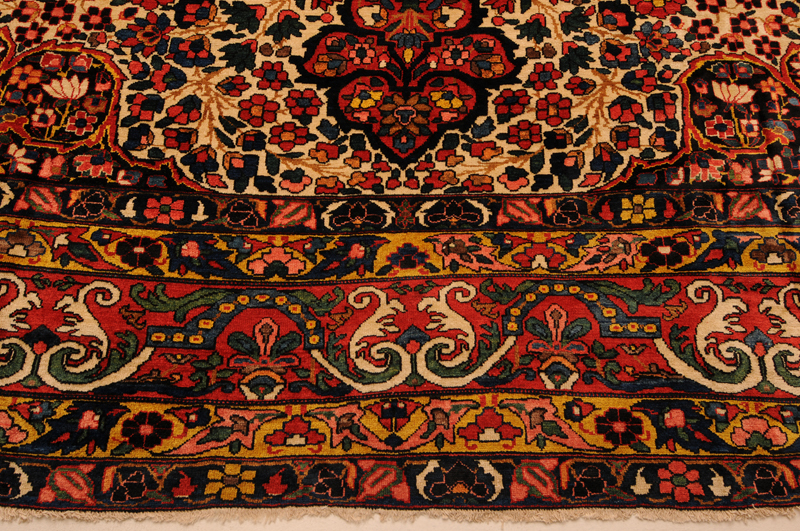 The rug is completely hand knotted with a rich, lush wool pile against a cotton foundation. 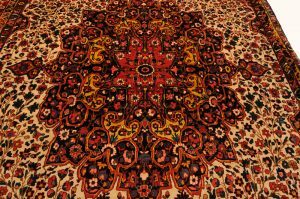 The red, blue and red colored dyes that are used in the rug are obtained from vegetation that grows locally in the region. 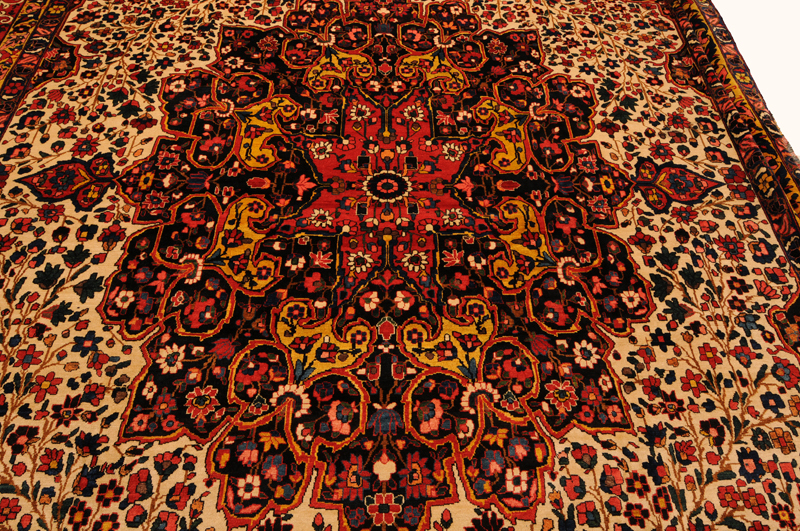 You very rarely see Bakhtyari rugs in this combination of colors, making this one of the rare pieces in this style. Another unique feature of this rug is its size. 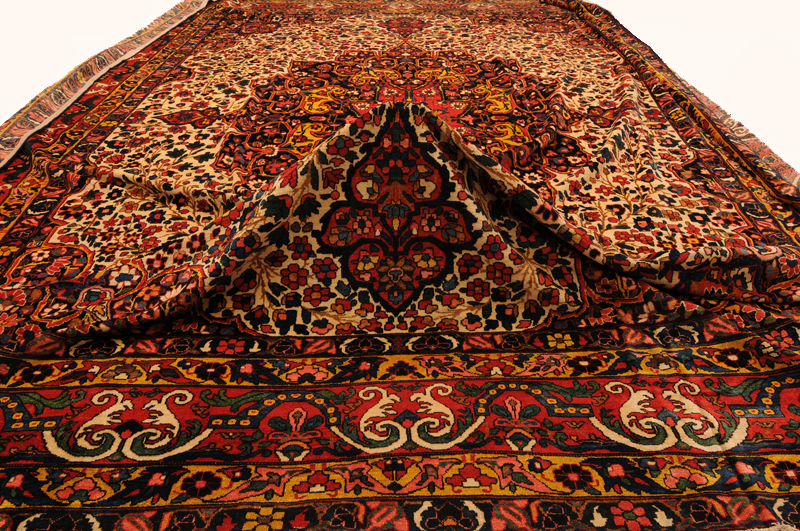 You will rarely find Bakhtyari rugs measuring 15’9″ x 20’. 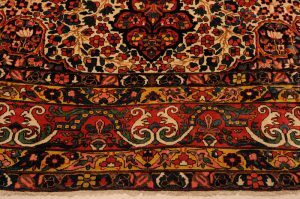 It took weavers an estimated time of 2513 Days 22617 Hours to complete weaving this rug. It has an approximate knot count of 289KPSI. The foundation material is cotton and the pile material is 100% cotton. 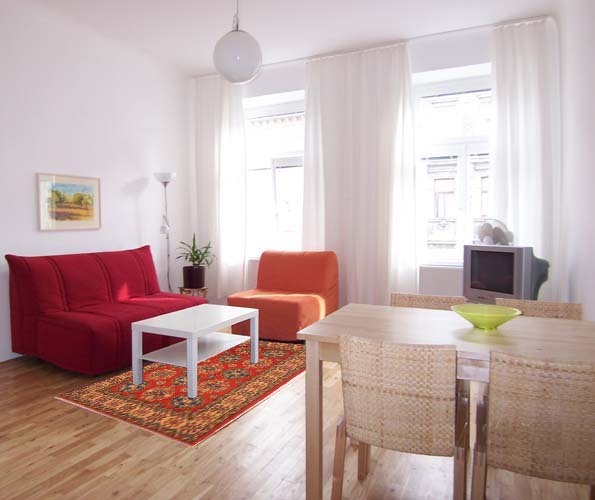 The rug is between 60 to 70 years old and is in immaculate condition. It has been professionally washed before being put on display.